At the beginning of my last semester of college I took a Children's Book Illustration class with the hopes of starting a twenty-four page, all-ages children's comic. I wrote up a little pirate story (below) that was heavily influenced by The Adventures of Tintin and Reed Gunther which seemed to be well received by my peers and classmates. 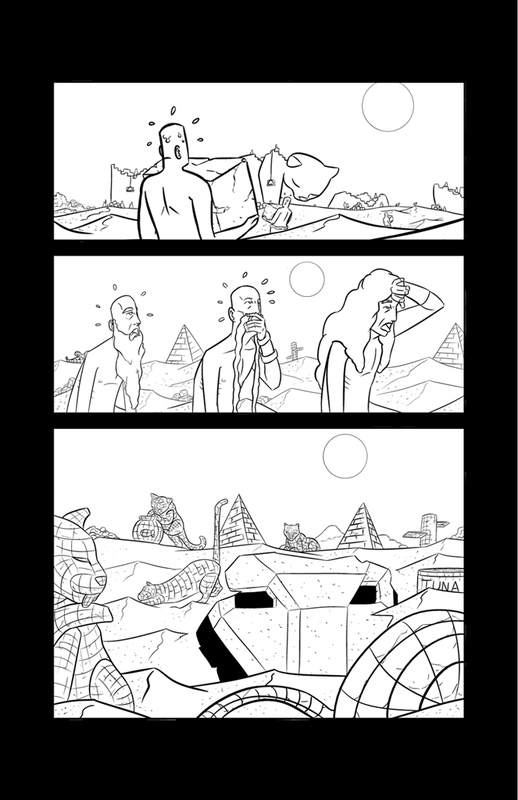 I laid it all out and got underway with penciling it. 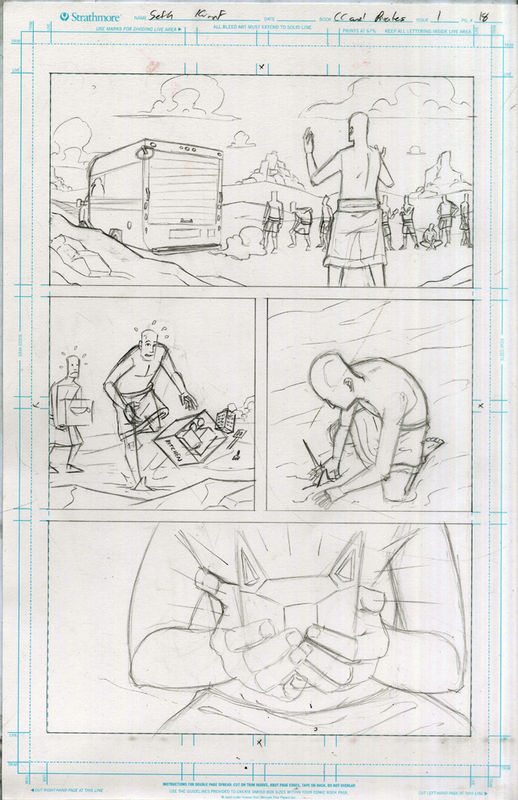 While it's not all entirely penciled it's at varying stages of completeness from some pages having a few wireframes to finished pencils/inks/colors/letters. The story (at the moment) is part one of three with an open concept that would work as an ongoing. Each arc is the search for some new treasure and the adventures the crew has within. 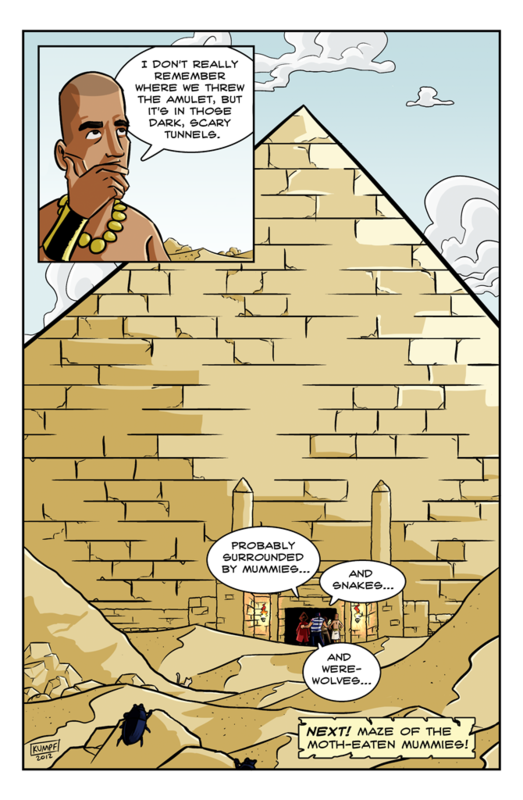 The first arc is the search for the Silvestris Amulet which sends the crew to an Egypt-esque locale and inside the tomb of one of their pharaohs. This first issue follows them as they find the map, embrace a storm at sea, learn about the Silvestris Amulet origins and find their way to the entrance of the tomb. After finishing the semester and class I moved on to my regularly scheduled programming with Ragged Rider: The Cowboy Mummy and put The Adventures of Captain Cushing and his Pirate Crew on hiatus. I'd love to revisit the world I created and at least finish up the Silvestris Amulet arc. 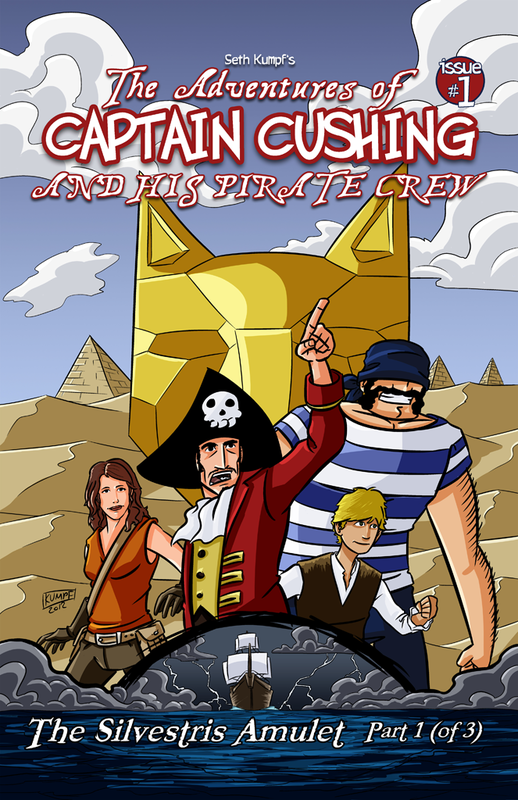 Having worked on Cowboy Mummy for two weeks I know there will be some redraws and maybe even rewrites whenever I find myself back to work on Captain Cushing.